Some bands need an army of musicians to aid their musical cause, each one of them riffing away, showboating to the extreme with a thousand different instruments in play at the same time. Some bands need that and some need drums, guitar and a whopper of a voice. 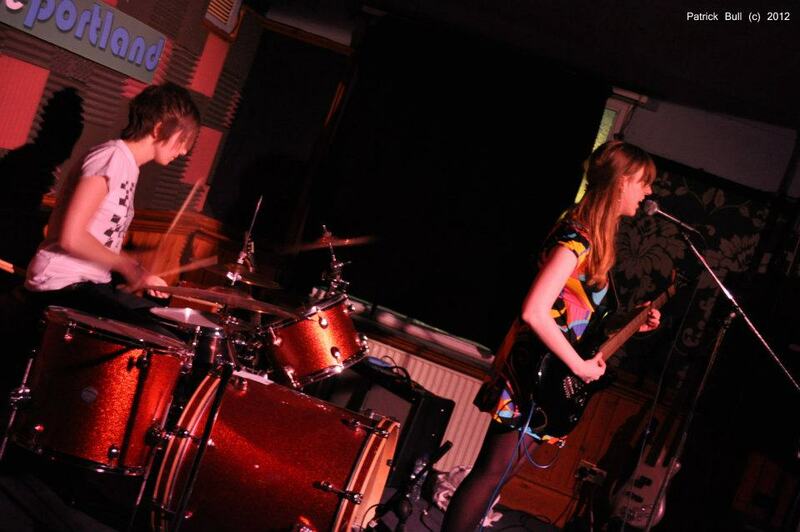 Cambridge / London-based grunge drenched two piece Molasses are definitely one of those bands. Alessia (guitar /vocals) and Katie (drums) together create a sumptuous cacophony of sounds taking inspiration from the likes of Queens of the Stone Age and Sleater-Kinney. You can also hear an element of early noughties indie pop bands such as Sky Larkin and KaitO (I know, I’m also coming to terms with the fact that the noughties was far away enough for youngsters to take inspiration from but deal with it, it’s happening). I was lucky enough to put them on at Bloody Ice Cream where they put on an amazing show. 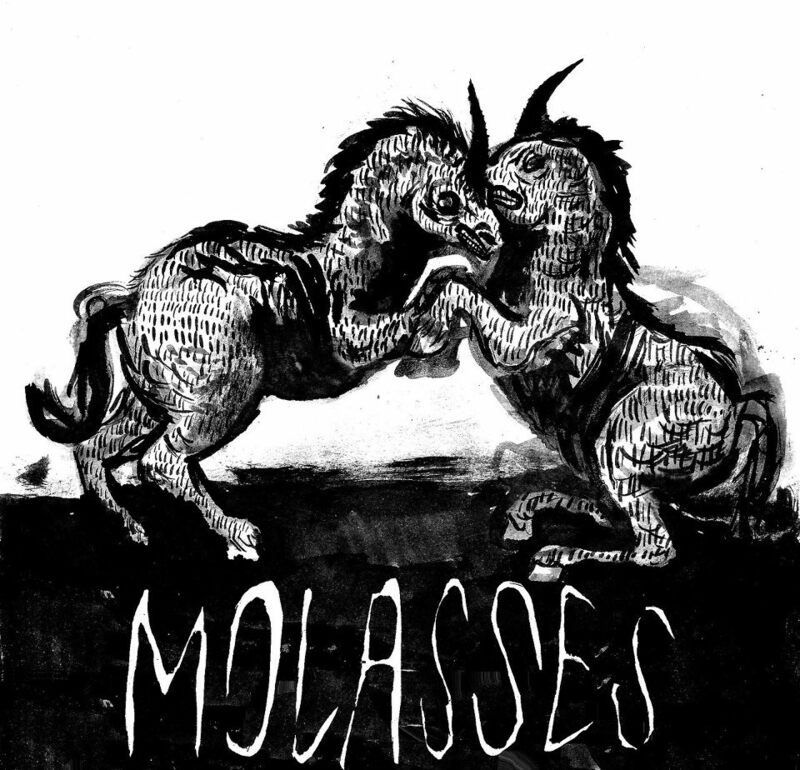 Afterwards, there was one word caught in people’s mouths; Molasses. We spoke to Alessia and Katie about the band, their influences and being a menstruation catharsis. Don’t Dance Her Down Boys: How did you form a band / why did you want to form a band? Alessia: We got to know each other in our early teens through mutual friends and jammed together with them a few times, I remember being instantly drawn to Katie’s drumming style and I knew I wanted to play with her again at some point… I started university in London just over a year ago as Katie was in her final year and we got together to jam shortly after and we both had plenty of stuff to vent at the time and we both love music, so the band was formed. Katie: When Alessia said she wanted to play together again I jumped at the chance. We just seem to get on really well musically and have a similar vision. I also really needed a loud musical outlet at the time and not to mention Alessia is a phenomenal guitarist! DDHDBs: How did you get the name Molasses? A: I was looking at the ingredients on a pack of Crunchy Nut… and there it was… plus we’re both into sugar and are lasses I guess, and it stuck. K: We’ve actually been debating changing it for a while because of so many similar band names but we’re both just too attached to it now. DDHDBs: Describe your band in five words? A: noisy timid sugary menstruation catharsis…? K: Aha! I don’t think I could come up with anything better! DDHDBs: Who are your musical influences? A: So so many, but I suppose the most obvious/better known ones that come to mind for me are…earlier Jucifer, Charlottefield/ Thomas House, Carusella, Faraquet, Polvo, Daisy Chainsaw, Dÿse, Kylesa, Eighties Matchbox B-line Disaster, Kyuss/ Josh Homme, Blur, Mary Timony, Killing Joke, Punch, Babes in Toyland and many of the musicians around me here in London (and a little further afield). K: I’m really into drummers like Janet Weiss, Jimmy Chamberlin, Sara Lund and Patty Schemel. Patty Schemel in particular, she just hits so hard – I love it. DDHDBs: What bands are you listening to at the moment? A: I’m really into Naomi Punk, Ty Seagall and Shannon Wright, I’ve been delving into her back catalogue, she is so underrated. Drone like Nadja helps me write essays for university. K: I’ve been on a massive Smashing Pumpkins binge for a while. Also Slint, Codeine, Mudhoney, the Corin Tucker Band and Dinosaur Jr are all getting a lot of spins with me at the moment. I think I’m mostly stuck in the wrong decade. DDHDBs: I love how heavy you sound both live and on record. Was that intentional? A: Absolutely, we need to fill that space. DDHDBs: Our favourite song is ‘One Whole’. Could you talk about how that song written? A: Katie just suggested one practice that we write a more Carrie Brownstein-style song. I had a listen to some Sleater-Kinney and Wild Flag, I’m not saying that they directly inspired the whole song, but definitely the opening riff. 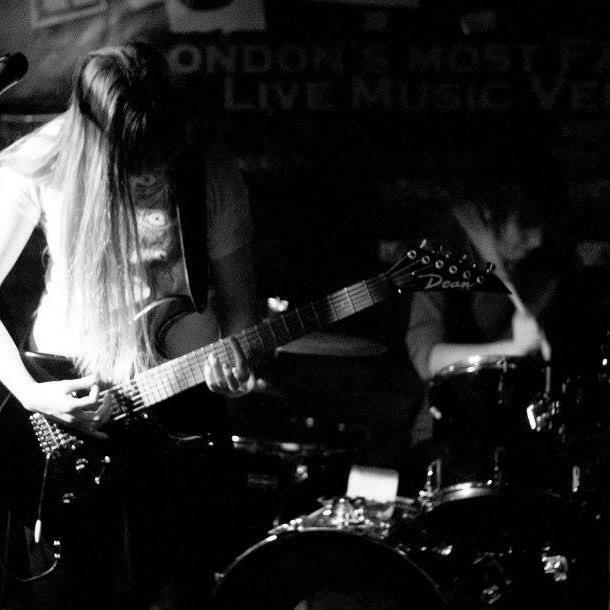 I’ve also got a Croatian last.fm friend who has a band called ‘Mlijeko’ (Milk in English) – check them out! and one of their songs influenced, particularly the vocal part, of One Whole. Long-winded answer there! K: Pretty much what Alessia said really. I was obsessed with Wild Flag and Sleater-Kinney at the time and then ‘One Whole’ just came into existence. We actually cut a verse out for live performances just to make it extra punchy. DDHDBs: How do you find inspiration for your songs? K: Everything and anything really. That’s a lame answer but it’s true! DDHDBs: What has been your favourite gig so far and why? A: Bloody Ice Cream was pretty damn good! Also the Group Therapy gig at Brixton Windmill. And Impulse festival in Belgium over Xmas of course! K: Bloody Ice Cream for sure. The sound was great, the audience, the vibe, everything – we just had a blast. Close runner up has to be Impulse Festival in Belgium. DDHDBs: What are your favourite songs to play live? A: Probably ‘One Whole‘, ‘Out of your Lap‘ (an old one) and a new one ‘Runt’. DDHDBs: What’s next for Molasses? K: Definitely a mini tour! Tags: alessia, cambridge, garage rock, katie, london, molasses. Bookmark the permalink.